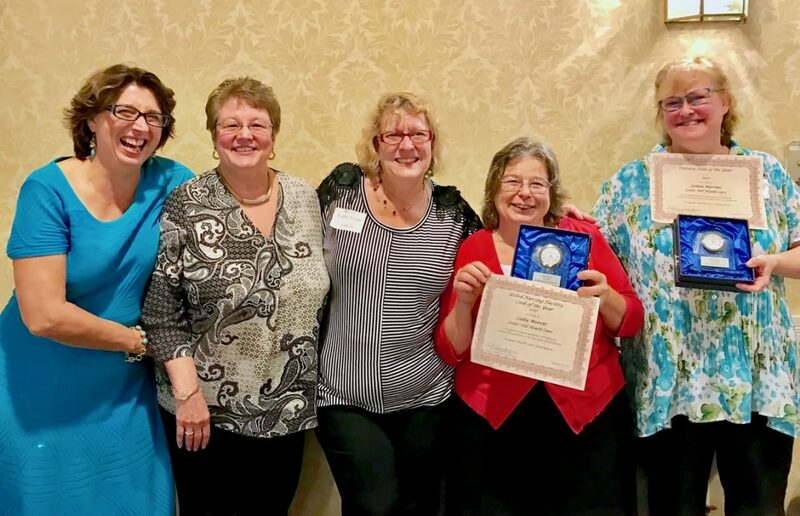 For the third year in a row, Cedar Hill Continuing Care Community in Windsor, Vermont is honored to be the recipient of three awards presented by the Vermont Health Care Association. 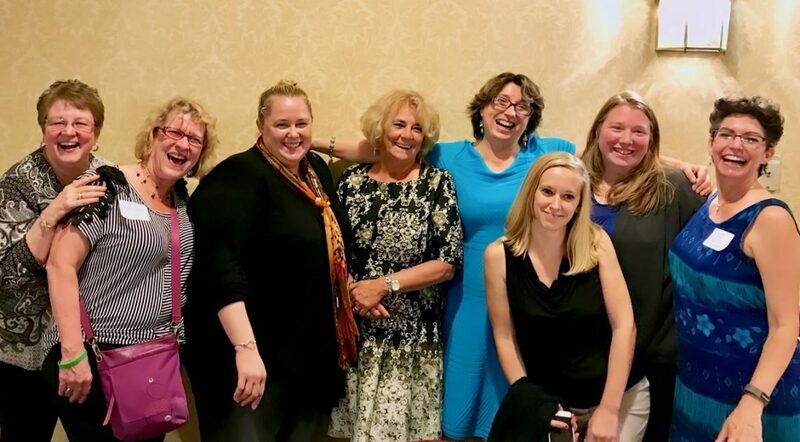 The VHCA is an advocate for quality care and collaboration between Vermont’s residential care, nursing, and long-term care communities. 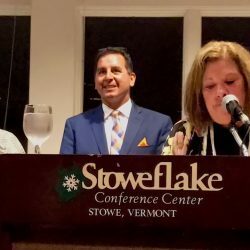 The awards were presented at the organization’s Annual Conference and Trade Show Awards Banquet on September 26, 2017, at Stoweflake Mountain Resort in Stowe, VT. 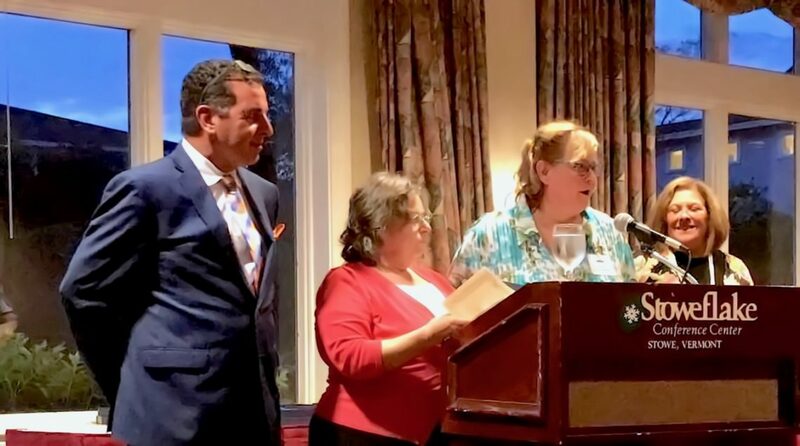 This year, Cedar Hill was recognized with three awards: Cathy Connors for Outstanding Residential Care LPN of the year; Liddy Merritt for Skilled Nursing Facility Cook of the Year; and Joshua Martini for Dietary Aide of the Year. 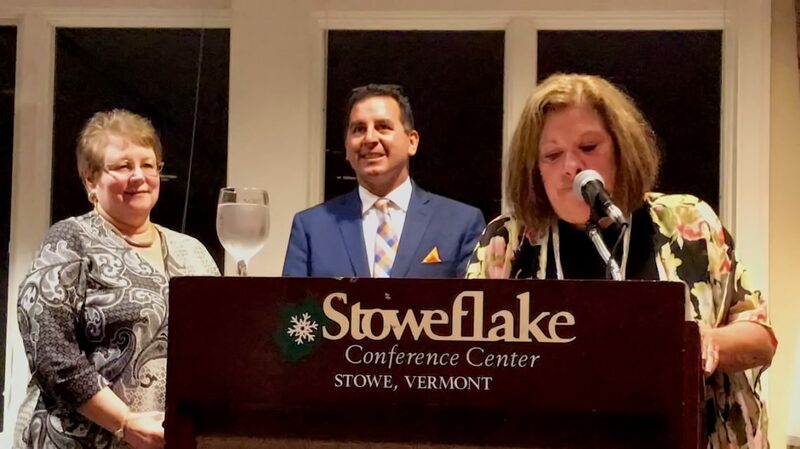 Diane Sullivan, Administrator at Pine Heights at Brattleboro and member of the VHCA’s Convention and Education Committee presented awards to 2017 VHCA Award Recipients, assisted by Jim O’Mara from PharMerica. 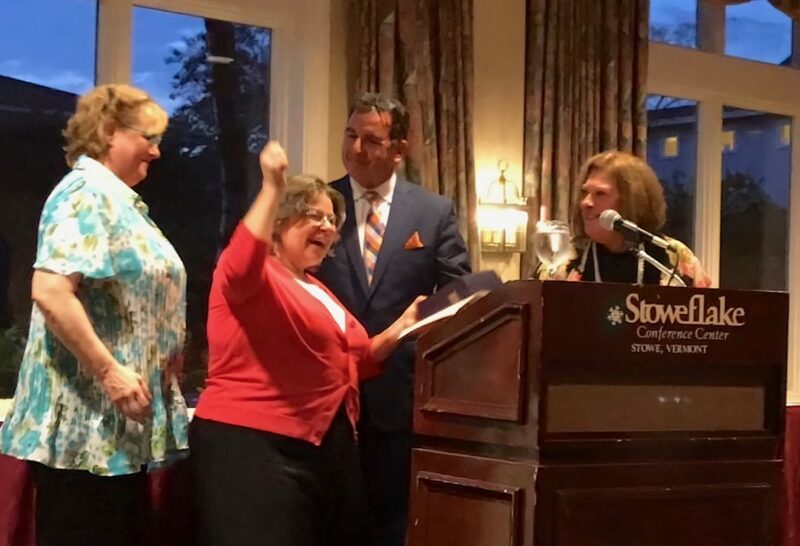 “It’s such an honor and I’m very humbled,” said Cathy Connors, of her Outstanding Residential Care LPN of the year award. Mrs. Connors has been a member of the Cedar Hill team for six years and has over 40 years of experience in dementia care. 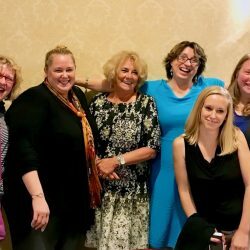 In addition to her role as Manager of the Judith Brogren Memory Care Center at Cedar Hill, Cathy also hosts an Alzheimer’s support group and provides trainings for LNA’s. 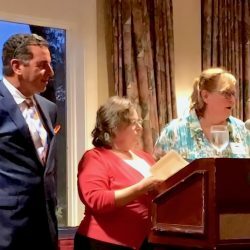 Dietary Aide of the year Josh Martini has worked in the kitchen of Cedar Hill Health Care Center for 11 years, meticulously tracking food labeling, refrigerator logs, and food and supply deliveries, and maintaining a specific cleaning schedule for all equipment and all areas of the kitchen. 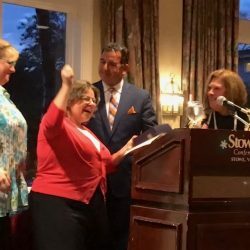 This year’s winners join previous award recipients Mary Louise Sayles, 2015 Lifetime Achievement Award; Barbara Flinn, 2015 Nursing Home Activity Director of the Year; Jon Manning, 2015 Nursing Home Volunteer of the Year; Lois Bromley-Ellison 2016 Outstanding Gardener of the Year; Alfonzo Ramirez, 2016 Maintenance Assistant of the Year; and Erika Osgood, 2016 Outstanding Ward Clerk of the Year. 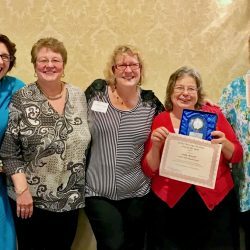 In addition to these awards, Cedar Hill has been awarded five stars on the Centers for Medicare and Medicaid Services “Nursing Home Compare” site (medicare.gov<http://medicare.gov/>), and 5 Stars “Best Nursing Home” in Vermont by U.S. News and World Report for the fourth year in a row. Cedar Hill offers a continuum of care that includes independent & assisted living apartments, residential care, short-stay rehabilitation, skilled nursing care, memory care, and comfortable and dignified end-of-life care, all on the same campus, with a loving family of caregivers for over 100 residents. 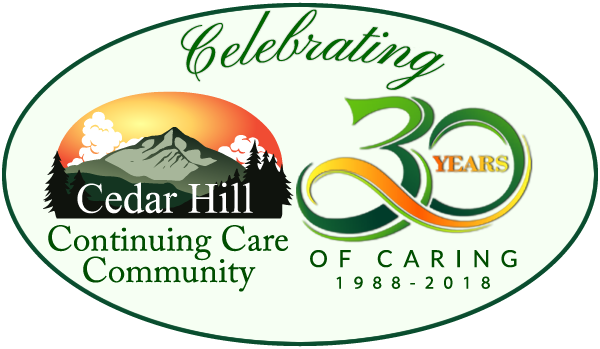 Founded in 1988, Cedar Hill has created an environment of encouragement and supportive care for seniors, enabling them to live with dignity and maximize their personal potential, offering a high quality, holistic approach to senior living in a relaxed, friendly and homelike setting.